Berlin - Germany’s highest court has rejected a newspaper’s bid to gain unrestricted access to all the foreign intelligence service’s files on Adolf Eichmann, known as the architect of the Holocaust. The Federal Constitutional Court said Friday that the complaint was dismissed last month. No reasons were given for the decision. The Bild newspaper had sought to overturn a lower court’s ruling last year that the BND intelligence agency was within its rights to black out passages from the files sought by a journalist attempting to shed light on whether West German authorities knew in the 1950s where Eichmann fled after World War II. 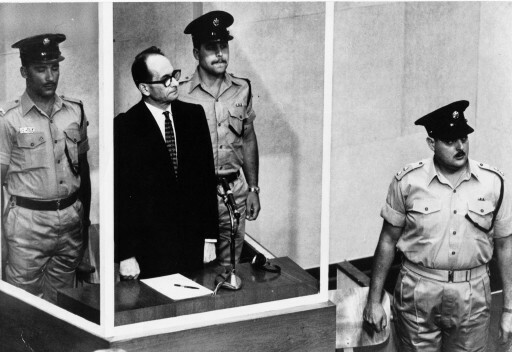 Israeli agents abducted Eichmann in Buenos Aires in 1960 and brought him to Jerusalem for trial. Eichmann, who helped organize the extermination of Europe’s Jews as the head of the Gestapo’s Jewish affairs office, was found guilty of war crimes, sentenced to death and hanged in 1962. Bild has reported that West German intelligence knew as early as 1952 he was in Argentina. The BND has said that most of its files on Eichmann are already public and only a small portion still needs to be blacked out because of laws on “protecting state security interests” and data protection. Wow the Americans knew since 1952 and didn't tell Israel. who is being protected? The Americans? the Germans? both? or even more?